From our award-winning wines to memorable events to our world-class accommodations, there are innumerous ways to experience the magic of Trump Winery. Nestled in the foothills of the Blue Ridge Mountains in central Virginia, Trump Winery's stunning 1,300-acre estate lies just a few miles from James Monroe's Highland and Thomas Jefferson's Monticello, the birthplace of American viticulture. We pride ourselves on creating the finest terroir-driven sparkling, white, and red wines, which have won numerous national and international medals and best-in-class designations. 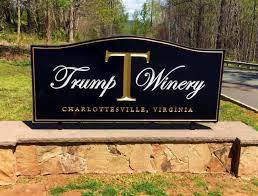 Planted with nearly 200 acres of French vinifera varieties, Trump Winery is Virginia's largest vineyard and the largest vinifera vineyard on the East Coast.